Marvel Heroic finished! Nuff said! We were absolutely crushed to learn that Margaret Weis Productions have canceled their Marvel line. The licensing costs were high, as you would imagine, and turned out to be too steep. If you don’t have one of the books in this line, we encourage you to get one. While we’re sad to see the Marvel flavour go, it was the Cortex Plus Heroic system that really grabbed us. Hopefully, we’ll see a few generic genre books coming out from MWP using the Heroic system. In the meantime, we’re looking forward to their Heroic fantasy rules in the soon to be released Cortex Plus Hacker’s Guide. You’d think that the most contrived literary device around would not make for gaming magic, but that doesn’t stop the Idle Red Hands (A.K.A. the thickest guys on the Net) from trying to figure out how to make it work. Do we succeed? Well, at some point, you may wish that a god would come down to give us a hand, and Chris repeatedly tries to slip in examples of Chekov’s gun. (His sleight of hand provided the inspiration for our next episode.) However, by the end, the answer to whether or not a deus ex machina has any place at your gaming table is firmly answered. Marvel Heroic Roleplaying Civil War! Listener mail! Bosozoku! Soft prostitution! (?) This episode has it all. We review the Civil War event book. 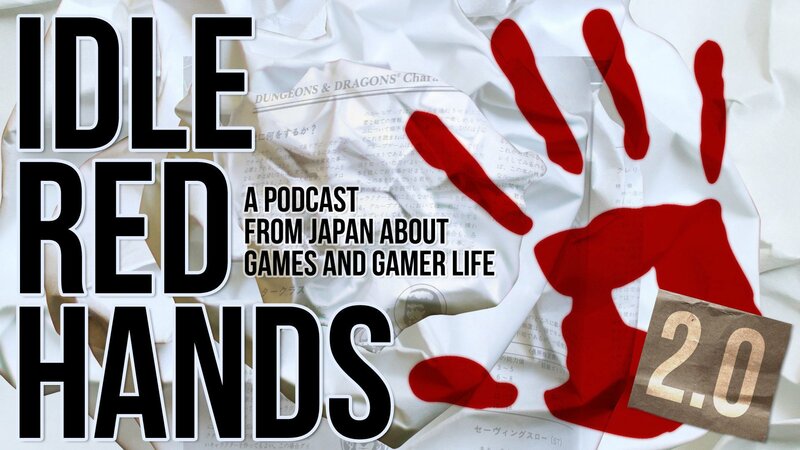 We also answer a listener’s email about a game of vampires, secret agents and bosozuku set in Tokyo. During this discussion, Chris explains what “soft” prostitution is, which Lyal believes is still illegal.